From a Cloud expert’s point of view Shifting to Exchange Online requires major planning before execution. For exchange users, there are many Providers out there which plan migrations for you and provide after migration support too. Either it is “lift-and-shift” or deep cloud integration, it is always essential to know the exact details of shifting to Exchange Online and how it can affect your organization. Today, we are going to tell you three essential features that you must utilize for your company once you have opted for Exchange 2019 online migration. Are you a busy business executive who does not have the time but needs emails to be managed, meeting dates to be noted and contacts to be organized? Is hiring a personal assistant a load on the budget? 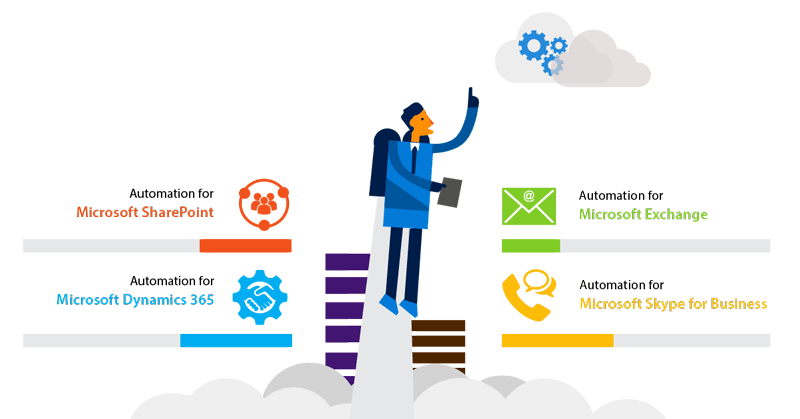 Microsoft Exchange 2013 is the solution to all administrative problems. Not only does it manage your contacts, it makes sure that all your online and offline systems are in sync and all the important dates regarding your business are noted down. One of the greatest new features of Microsoft Exchange 2013 is that through the Exchange Administrative Center (EAC) that is Web-based interface, the Exchange Management Console (EMC) can be replaced with it quite easily. Apart from that, huge storage is available. Around 8 TB (terabytes) disks can be supported and a lot of databases can be stored on a single disk through Data Availability Group (DAG) management. Not only that, Microsoft Exchange 2013 also has a built in protection system that guards against malware. It has flexible settings and so can be managed according to the needs of the administrators. If need be, this protection system can be turned off as well. One of the biggest problems associated with data is losing it. This new version of Exchange incorporates a system that helps in the prevention of data loss. So, if you have sensitive data, the program will detect it and secure it. A system that protects against malware secures sensitive data and offers huge amount of storage is likely to be ideal. Since contact management is so important, extracting information of one person from different sources is quick and easy. Microsoft Exchange 2013 also comes with a new look which is more adaptable and so allows the user to modify it as he or she wishes. Integration with different Microsoft programs allows collaboration and makes this process a whole lot easier. With its many new features and countless benefits, Microsoft Exchange is the program to look out for, especially if you have a business with a lot of emails and contacts that need to be organized. Microsoft Exchange is one of the many software applications that have been developed By Microsoft to make functionality a lot easier in business. Microsoft Exchange, or Microsoft Exchange Server, is software that acts as an email server, a contact manager and a calendar keeper. This is ideal for businesses since businesses require a system through which they can gather contact information, manage important emails and keep track of important dates. Microsoft Exchange 2013 is the latest version to have hit the market.